It’s not too late to join the Lake Forest Park Rotary and friends for a fun night of fundraising for our community!!! Last year LFP Rotary raised over $100,000 which went directly towards over 40 projects in our local community and internationally. 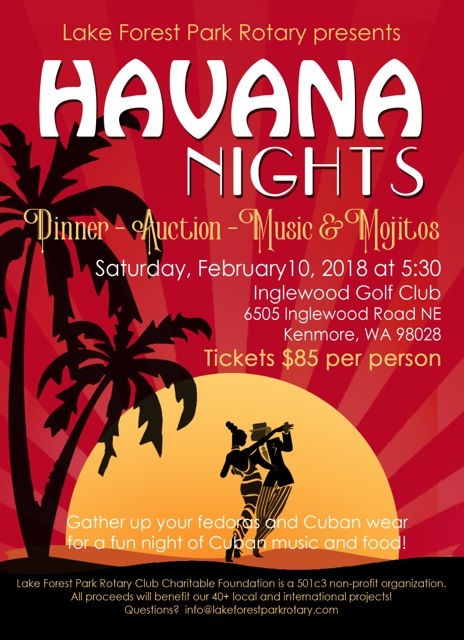 Call Dwight Thompson 206-399-9477 for tickets, $85 per person..